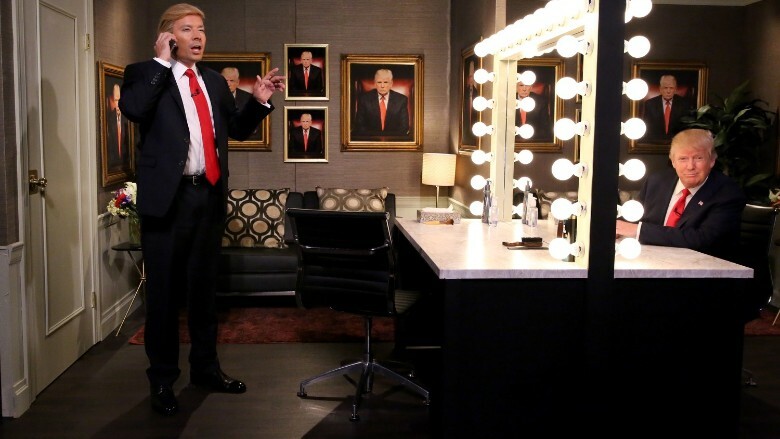 Donald Trump continues to prove his ratings power -- just ask Jimmy Fallon. The host of the "Tonight Show" had Trump on his NBC broadcast Friday night, and the Republican candidate undoubtedly helped Fallon bring in an impressive 4.5 million viewers. This number easily beat out Fallon's main competition, Stephen Colbert's "Late Show," which grabbed a total viewership of 3.5 million. Yet, while Colbert lost Friday night, he won the week averaging 4.5 million viewers to Fallon's 3.9 million. Fallon did beat Colbert, however, in the prized advertising demographic of viewers aged 18 to 49 years: Fallon won on three of the four nights this week, losing to "The Late Show" only on its debut night. Fallon's use of Trump was wide-ranging throughout the NBC telecast. The host mentioned him during one of Fallon's most popular sketches, "Thank You Notes," in which the comedian jokingly thanked Trump for "appearing on the show tonight and in every monologue we've done the past few months." 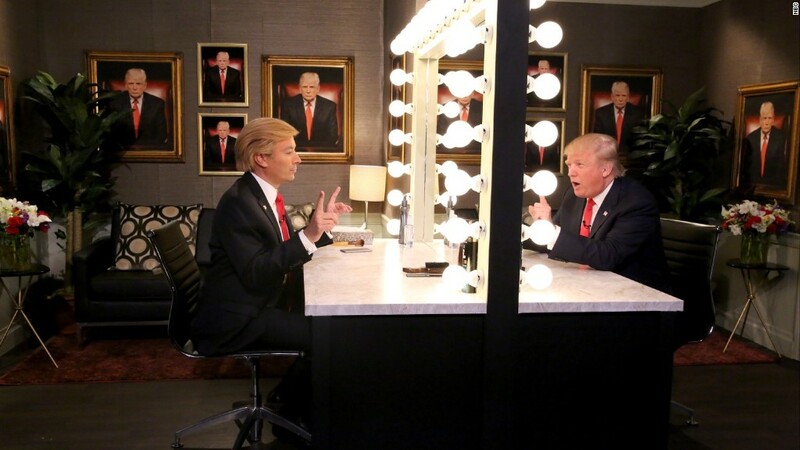 Trump was also played by Fallon in a scripted bit that had him dress up like the business magnate and pretend to prepare for the interview in a dressing room mirror. Fallon and Trump both played the presidential candidate on Friday night. "Wow, I look fantastic," said Fallon-as-Trump. Then the actual Trump responded on the other side of the mirror saying, "No, WE look fantastic." As for the interview itself with the candidate, Fallon kept the questions light, asking how Trump felt about currently being in the lead for the Republican nomination. This led Fallon to suggest a new campaign song for Trump -- DJ Khaled's "All I Do Is Win." "Honestly, it happens to be 100% true," Trump smiled. While Trump's "Tonight Show" interview didn't break any big news, he is far from done with late night. Fallon's chief competitor, Colbert, will host the candidate on his "Late Show" on September 22. Speaking of Colbert, the host told his audience on Friday that his late night rivals like Fallon, Jimmy Kimmel, and Conan O'Brien sent over gifts to celebrate his first week. Gifts included a photo booth from Fallon, lunch from Kimmel, and desserts from Conan. "All of these gifts from colleagues make one thing clear... the late night wars are on," Colbert joked. "It's a ruthless, no-holds barred battle royale over who can be the most gracious and giving host. Well, count me in." Colbert then pointed directly into the camera at his late night rivals. "All those other shows can expect some highly personal thank you notes," Colbert said. "Go thank yourselves!"